1. PRENATAL APPROVED! Now Vitalizer Women and Vita-Lea with Iron contain optimized micronutrient levels designed especially for women before, during, and after pregnancy, and while nursing. They both now contain 800 mcg of folic acid, 200 mcg of iodine, and 18 mg of iron. 2. Shaklee Life-Strip™ UPDATES! Our foundational multivitamin strip has gone through some exciting new changes! OmegaGuard® Plus— our ultra-concentrated DHA/EPA Omega-3 supplement is now smaller and easier to swallow. Vita-Lea Life Advanced Multivitamin now with 150% more lutein and 213% more zeaxanthin to support optimal eye health. And you’ll notice a natural orange scent! 3. HEALTHY CLEANSE complete system OFFERED! It features a carefully selected combination of Shaklee supplements (Alfalfa Complex/Liver DTX Complex/Herb-Lax/Optiflora Probiotic Complex) with a supporting diet plan ideal for those who want to feel better in 7 days and then transition to a Shaklee Life nutritional plan or help jump-start a weight loss program with Shaklee 180®. 4. 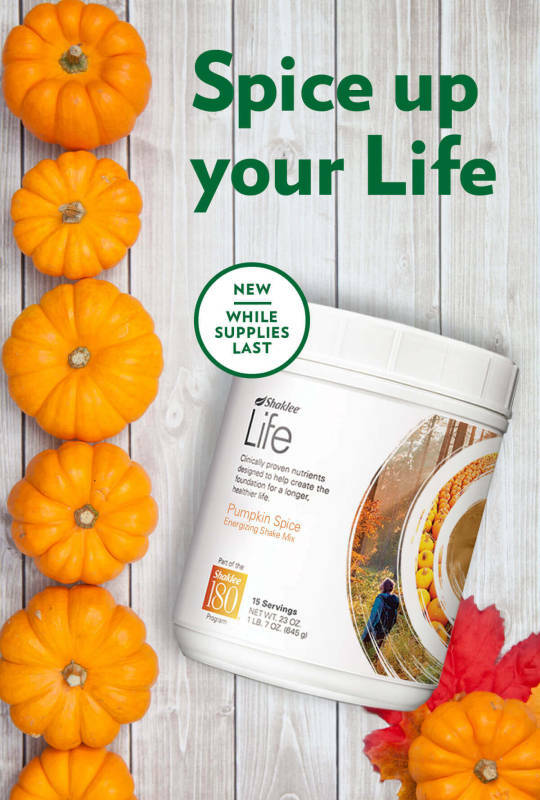 The NEW Pumpkin Spice Life Energizing Shake™ will be available to ship to you in October. You must order now while supplies last! It’s Non-GMO, Gluten Free, Lactose Free, Low Glycemic, Kosher, and Free of Artificial Flavors, Sweeteners, and Preservatives. But full of fall flavor! 5. 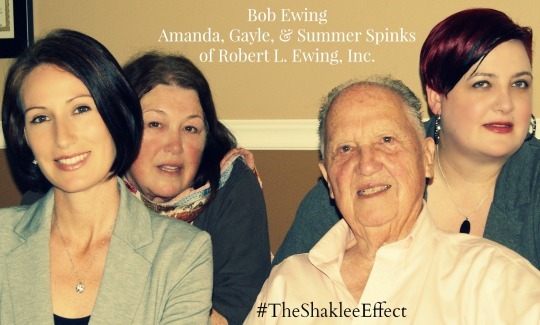 NEW Shaklee BLOG! 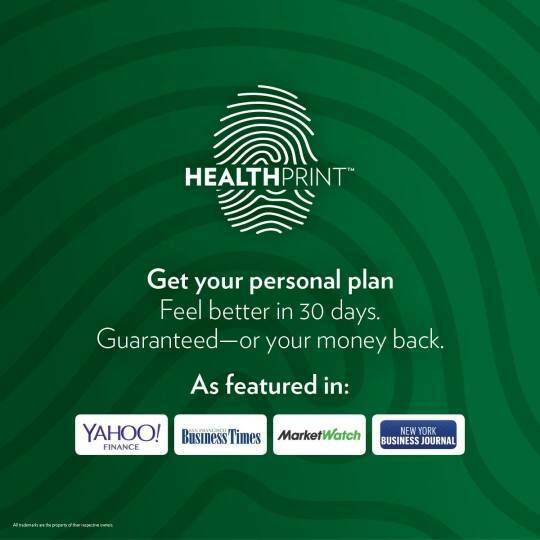 Get Shaklee product, lifestyle, and science information at your fingertips with Naturally: www.go.shaklee.com/naturally. 6. NEW Shaklee PODCAST! Get the in-depth science, product and Shaklee news you’ve come to love from Hotline. Use the SoundCloud app. 7. Chairman’s Leadership Retreat! You can earn an elite training experience at the Napa Valley home of Shaklee’s CEO, Roger Barnett. Each month we are having a Facebook Party! And there will be a special raffle winner of a valuable Shaklee product at the end just for participating in the online event! For September, tune in for our top 10 tips about going back to school, from the comfort of your own home. Previous Previous post: RLEI Organization Recap for July 2016! Next Next post: RLEI September 2016 ROLL CALL!